Wisconsin Historical Markers: Sturgeon Bay's Waterfront History: Shipbuilding - Peterson Builders, Inc.
Sturgeon Bay's Waterfront History: Shipbuilding - Peterson Builders, Inc.
Shipbuilding - Peterson Builders, Inc.
Martin Peterson began Peterson Boat Works in 1907. The firm was destroyed by fire in 1918. Martin's son, Fred J. Peterson, reopened Peterson Boat Works in 1933. In the early years the yard constructed primarily wooden boats from 8 feet to 65 feet, including rowboats, sailboats cruisers, and commercial fishing vessels. During World War II the shipyard became a major supplier of military vessels and earned a reputation for quality work and delivery on schedule. It built 40-foot motor launches and 110-foot submarine chasers for the Navy, and 85-foot aircraft rescue vessels for the Army. In just over two years the ship yard produced 37 vessels and employed 350 people. In 1946 Peterson Boat Works became Peterson Builders, Inc. The shipyard became a prime government contractor of minesweepers for the Navy. PBI workers played an important role in the refinement of aluminum welding technology in order to construct the aluminum fabrications for these non-magnetic wooden hulled ships. Over time, in addition to the minesweepers, PBI built a great number of other military vessels, including steel tugs, landing craft, fiberglass personnel boats, aluminum torpedo retrievers, patrol boats, and steel amphibious craft. The shipyard expanded its lands and buildings to accommodate its ever increasing production requirements, including taking over the Fruit Growers Cooperative property in 1966 and acquiring numerous other parcels adjoining the shipyard and throughout the City. It also increased its use of waterfront by converting a 440-foot ore carrier, the Elba, into a floating dry dock and the 200-foot foot [sic] ferry, the Straights of Mackinac, into a floating warehouse. PBI makes changes to the waterfront, including installing steel sheet piling to create the shore frontage that exists today. In the 1970's, employment at PBI grew to over 800. It expanded into construction of tuna fishing boats, research vessels, passenger and vehicle ferries, fireboats, heavy lift cargo ships, and even a floating 1000-seat sea mammal pavilion built for the New England Aquarium in Boston. The last major government contract for PBI was the construction of 11 mine counter-measure ships (MCM) completed from 1985 to 1993 for the U.S. Navy. During this time employment peaked at around 1400. Then activity at the shipyard slowed considerably. The company launched its final boat, a crane barge, in 1995 and the shipyard ceased construction operations. 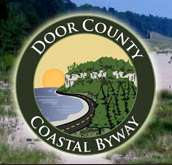 Eventually, most of the buildings and other facilities at the shipyard were removed and the property was sold for redevelopment, including a portion that was converted to waterfront parkland through a Wisconsin Coastal Management Grant. Peterson Builders, Incorporated had a tremendous influence on this portion of Sturgeon Bay's waterfront as seen by this map showing the property used by PBI for shipbuilding. PBI also had other facilities scattered throughout the city. The frame of a 110-foot submarine chaser is in progress at Peterson Boat Works during World War II. The hulls were built indoors, to preserve the wood, and then finished outdoors. Waterfront scene at the PBI shipyard, approximately 1960. Guardian, a Navy mine counter-measure ship (MCM-5) was side-launched on June 10, 1987. 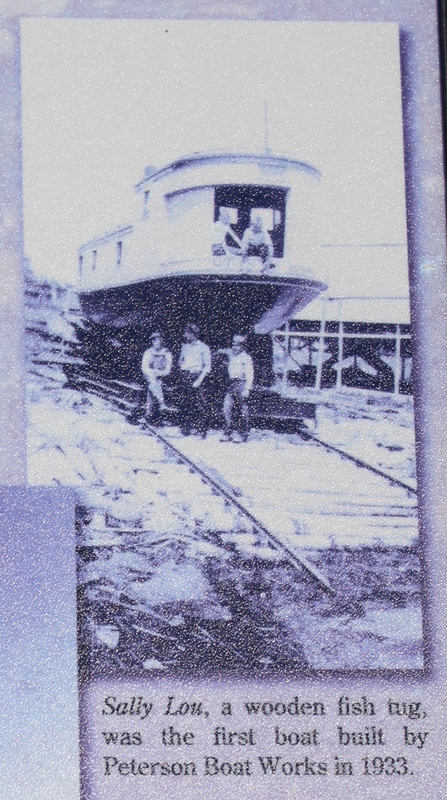 Peterson Boat Works in 1933. Utopia was a 66-foot schooner constructed in 1946. 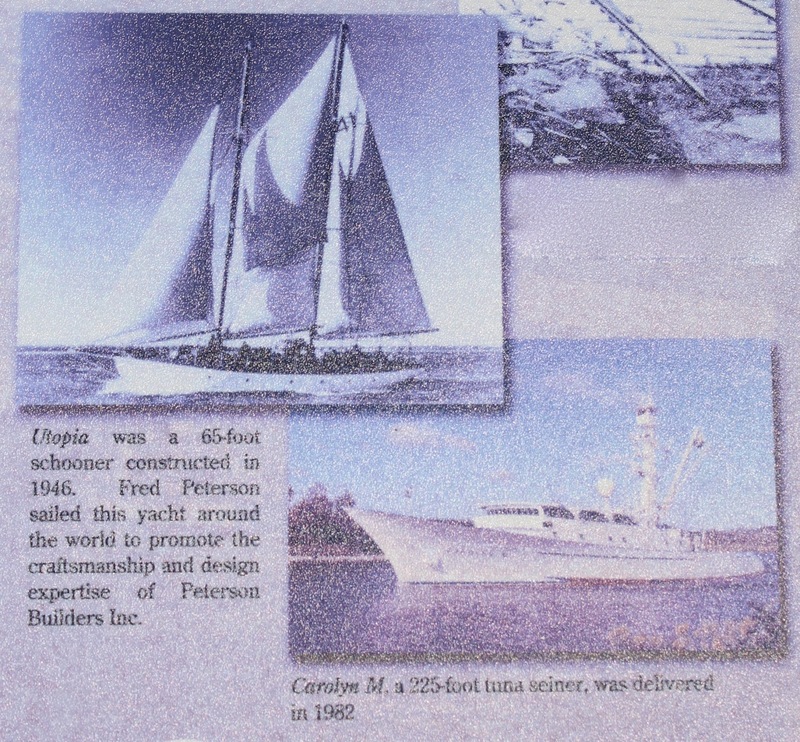 Fred Peterson sailed this yacht around the world to promote the craftsmanship and design expertise of Peterson Builders Inc.
Carolyn M. a 225-foot tuna seiner, was delivered in 1982. The marker is located at Sturgeon Bay's Historic Downtown Waterfront.